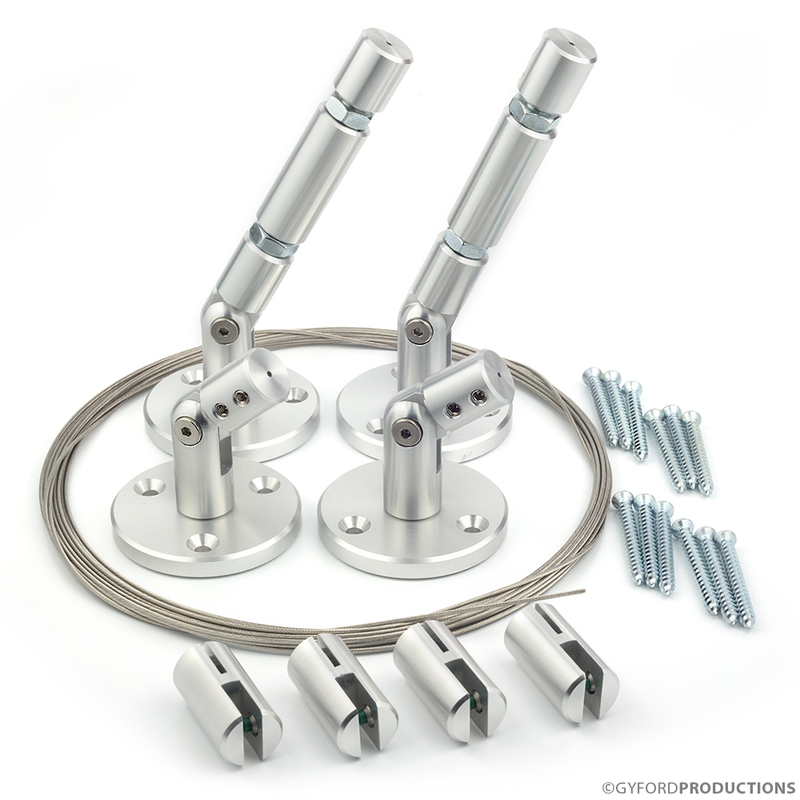 Gyford Wire Kits are a great way to get started with wire suspension for your signage and display projects. 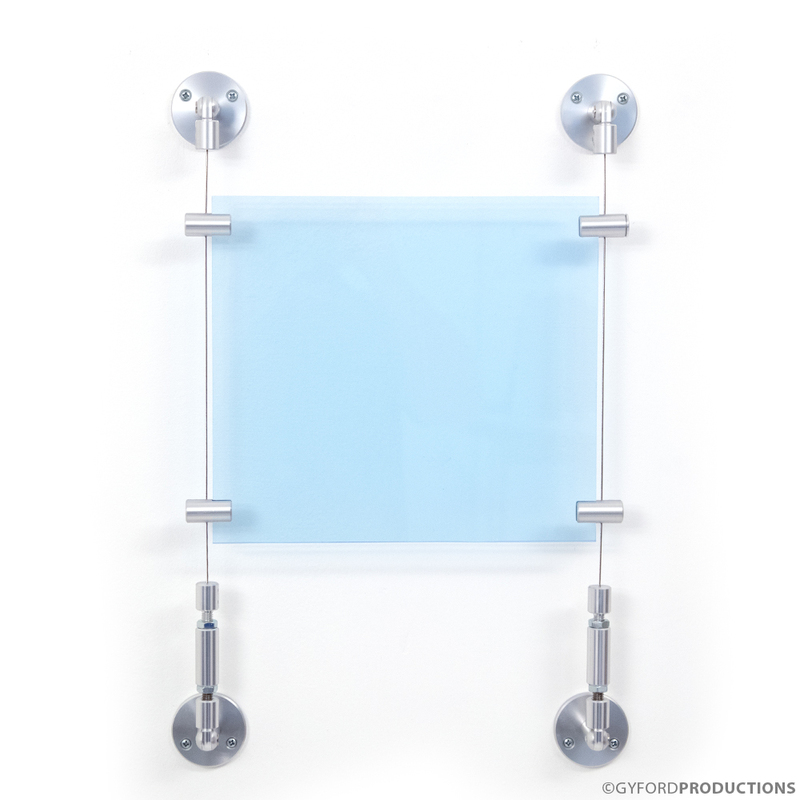 This comprehensive collection includes all the hardware for mounting a 1/8” thick piece of material for vertical signs or displays. The WSK-1 includes two turnbuckle mounts (bottom mounts), two static upper mounts, two 10’ spans of 3/64” wire and four panel grippers. 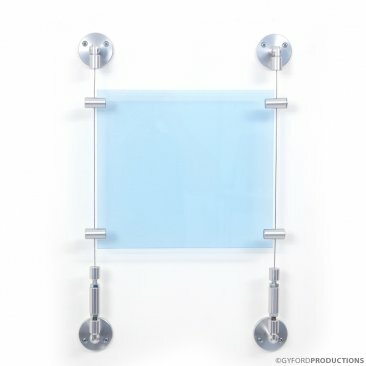 The turnbuckle and static mounts may be installed in a floor-to-ceiling configuration or be articulated to a 90-degree angle for a wall-to-wall installation. 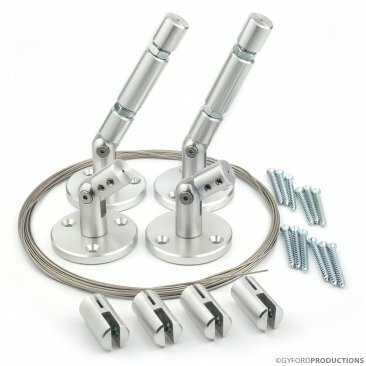 These kits also include mounting screws for the top and bottom mounts. * Please note that this kit does not include signage panels.